Artwork celebrating science and engineering with a collection of images so small they are invisible to the naked eye, is being showcased this week in Birmingham. Dotography is billed as the world's first invisible photography exhibition, and has been developed by The Big Bang Fair and nanotechnology experts Scrona. it will feature dozens of empty photo frames – these contain images that are each the width of a single human hair, printed using state-of-the-art nanotechnology. meaning they are completely invisible to the naked eye. 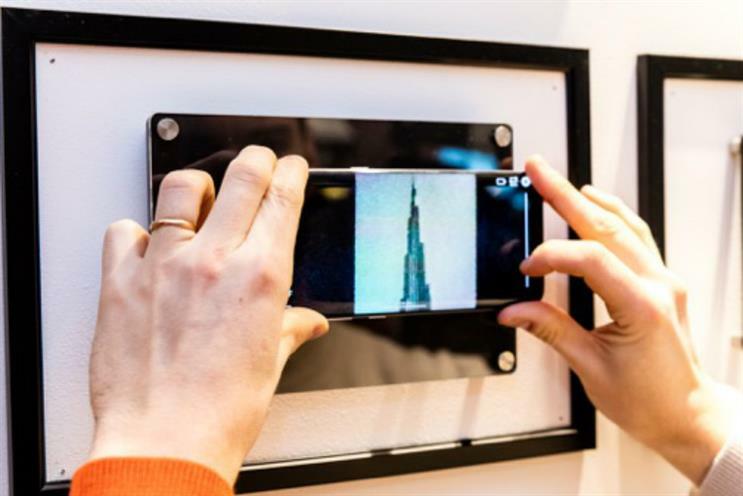 Upon entry to the gallery located in Link Street, Birmingham, visitors will be given a hi-spec handheld microscope that clips onto the back of a regular smartphone, prior to seeing a world of miniaturised photography open up in front of their eyes. The photography exhibition has been designed by The Big Bang Fair to inspire young people to consider a future in science, technology, engineering and maths. Beth Elgood, director of dommunications at EngineeringUK, organisers of The Big Bang Fair, said: "Our invisible photography exhibition sets out to inspire younger generations and show how the power of science can be harnessed to create a truly novel experience that is unlike anything that’s come before it." Among the 22 pictures on display throughout the gallery space are a number of iconic photographs that celebrate landmark scientific moments from the past, featuring the likes of Marie Curie, Albert Einstein and Neil Armstrong. The exhibition opens on 24 January and runs over four days.